Once again, William & Mary stands proudly as the No. 1 nationally ranked public university for undergraduate alumni participation. The signs are all pointing in the direction that our For the Bold campaign has spurred the William & Mary community to give at record levels. 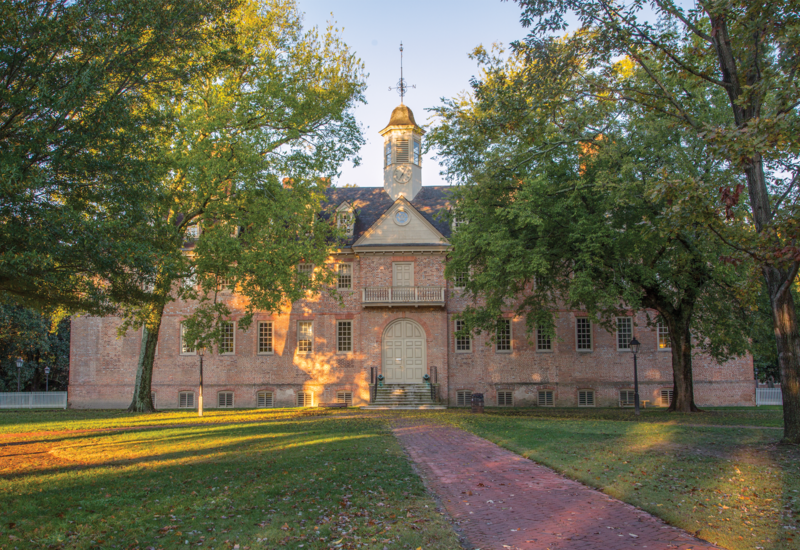 Among both public and private institutions, William & Mary has moved up from 35th in 2011 to 17th overall — surpassing Yale University for the first time ever. In 2011 — the beginning of the campaign — the university had a 23.6 percent alumni participation ranking. Today it is 28.7 percent. By comparison, among all schools that reported alumni giving data to U.S. News & World Report, the average was 11.6 percent. This positions William & Mary as a leading university in philanthropic giving and engagement growth. Why does this matter? It matters because the alumni participation ranking is often factored into overall school rankings and also impacts the value of a William & Mary degree. When you stand around the water cooler and talk to colleagues and friends about alma mater, it is a moment of great Tribe Pride to say that William & Mary is the top public university in the nation. Even as participation rates drop across the U.S., a whopping 74 percent of William & Mary’s undergraduate alumni renew their investment year after year. All told, last fiscal year 18,940 undergraduate alumni gave back to their alma mater — a 36 percent jump in donors since the start of the campaign. As we strive to reach our ultimate goal of 40 percent alumni participation, every gift counts, no matter the size. If you are considering making a gift, know that you will help William & Mary make history.